Richard Gardiner Casey is well known in Australia as one of its most eminent postwar statesmen. He served as its External Affairs Minister from 1951-60, forging Australia's foreign policy and later, at the end of his career, as its Governor-General. Little is known, however, about his role as Governor of Bengal from 1944-46. Indeed the announcement of his appointment in January 1944 was unexpected, for no Australian had been appointed to such high office in India. It was arguably the most difficult time to be appointed as Governor of Bengal: the province was in crisis, deeply unsettled at several levels. After the fall of Burma in 1941, Bengal lay exposed to the frontline of war; in late 1943 Calcutta and its docks were bombed; and many feared a Japanese invasion. More significantly, the province was still in the grip of a devastating famine that had hit in 1943, that would kill an estimated three million people. During his time in India, Casey repeatedly projected himself - to Indians and Britons alike - as an Australian; in doing so situating himself as an engaged intermediary in the face of an increasingly febrile, and fractured, nationalist movement facing impending decolonisation. Perhaps the clearest example of this is in his informal meetings with Mahatma Gandhi in late 1945 and early 1946 in which Casey acted as a proxy for Gandhi to communicate to the Viceroy, Lord Wavell, flying in the face of protocol. Gandhi first made contact with Casey in April 1945 through his emissary, Sudhir Ghosh. Gandhi arrived in Calcutta on December 1, 1945, immediately initiating a series of evening meetings with Casey that would last some six weeks. This was, technically, a breach of protocol, for the matters under discussion - especially those dealing with the rapidly impending transfer of power - did not fall under the purview of the Governor of a single province, but under that of the Viceroy. Given this, Casey was curious that the Mahatma had chosen to approach him, and not Wavell directly. Gandhi and Casey's discussions increasingly became concerned with the politics of the transfer of power and the degeneration in political negotiations between the British, Muslim League and the Congress. Gandhi said that he was "utterly distrustful" of British promises, rattling off a list of British perfidy, which concluded with the Viceroy's to proceed at Simla without the participation of the Muslim League, leading to the collapse of the negotiations. On one occasion, on December 3, Gandhi came to see Casey at Government House while he was observing a day of silence, leaving the conversation rather one-sided. The following day, on December 4, Gandhi suggested that Casey meet Maulana Azad, Jawaharlal Nehru and Vallabhbhai Patel when they arrived in Calcutta for the meetings of the Congress Working Committee, to which Casey readily agreed. Casey's willingness to meet with Gandhi and members of the Congress Working Committee was significant, in that it opened the path for a recalibration of the construction of the Congress leaders as 'rebels' after their release from prison. Public speculation about Casey's regular meetings with Gandhi and the Congress High Command ultimately pressured Wavell to meet Gandhi too. Such a meeting had been mooted for some time, but Wavell had resisted it, after a failed meeting in Simla in mid 1945. Casey's meetings in December made it difficult for Wavell to continue to refuse to reopen talks. Unsurprisingly, the meeting between Wavell and Gandhi - in his secretary Pyarelal's words - was a "flop". Wavell took the opportunity to re-state that the British were unwilling to leave India until all parties - meaning the Congress and the Muslim League - were in agreement. This smacked of the old 'divide and rule' policy, and as Pyarelal wrote, "Casey's well-meaning effort (to reopen dialogue between the Congress and the government) left him with burnt fingers". At a more fundamental level, though, Casey maintained that merely meeting with the leaders was productive: the medium was the message. A private photograph of their meeting on December 3, 1945, and kept in Casey's personal papers in Melbourne, is revealing. 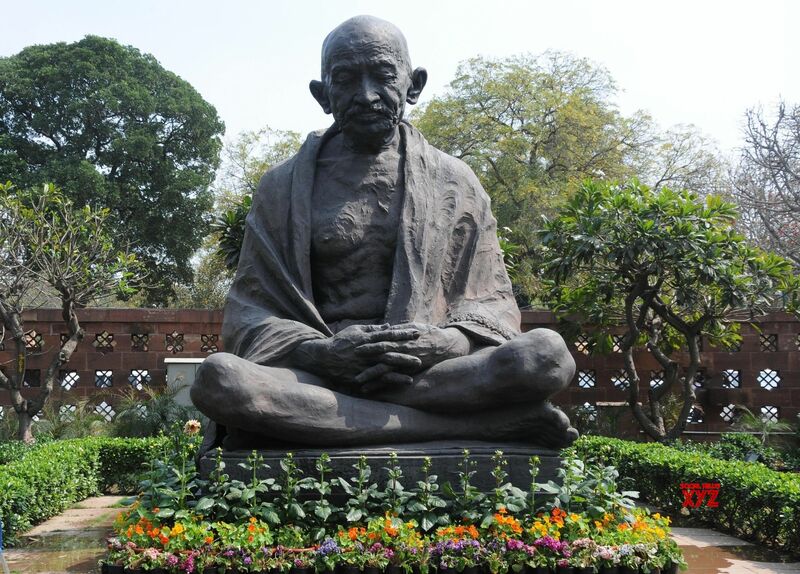 The Governor sits next to the Mahatma, inclined toward him. Significantly, at a later visit on December 6, Gandhi was asked to autograph the photograph, and he obliged. Casey was frequently struck by imperial posturing of the Britons around him, remarking on the adverse effects of this on those they purported to rule. When Casey met Gandhi, relations between the Government of India and the leaders of the Congress were embittered. Sudhir Ghosh concluded that "Casey, being an Australian and a politician with a very wide international political experience, was very different from the usual rigid British Governor in India", and as such was able to inject a fresh, if short-lived, dynamic into preliminary discussions leading into the high politics of decolonisation.